Arcams SA10 is the replacement for the multi-award winning A19 . The SA10 amplifier is an ultra-low distortion type Class A/B amplifier similar to the A19. 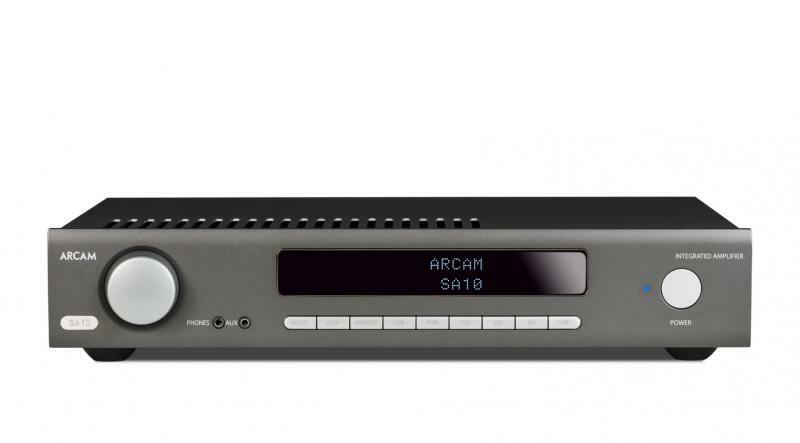 The SA10 has 5x analogue inputs (1x line/MM switchable) and 3x digital inputs (2x SPDIF and 1x optical). The ESS Sabre 9016 DAC is built into this amplifier for optimum low jitter digital performance. The SA10 is 50wpc into 8 ohms (both channels driven). The SA10 also comes with a brand new learning backlit infra-red handset and can be now controlled over IP by ARCAM’s IOS app, Musiclife.